Never go through Cookie Withdrawal again! 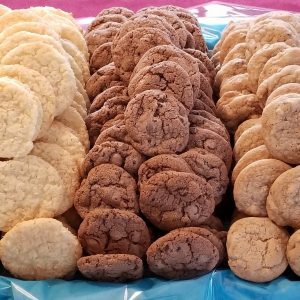 Get your cookies delivered directly to your front door every month! Please provide a contact number for questions regarding your order. 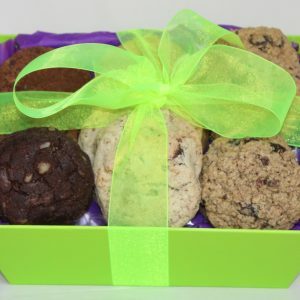 Fresh baked cookies shipped directly to your doorstep the second week of each month . Cookies are double packed. sealed and boxed. Ready to eat or freeze for your convenience. 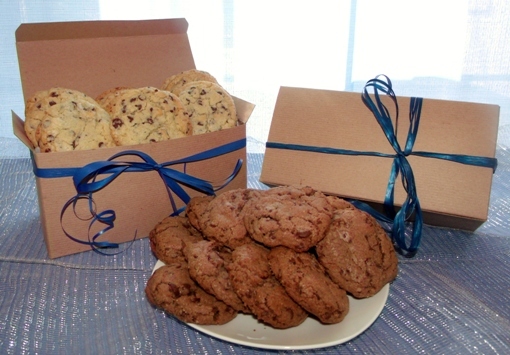 USPS Priority 1 – 3 Day Shipping is included in all Monthly Cookie Club plans. Convenient pricing options are 3 months (1 dz. $80, 2 dz. $140), 6 months (1 dz. $150, 2 dz. $260) or 12 months (1 dz. $300, $2 dz. $500). Save as much as $100 off regular prices. Choose a different Cookie flavor each month. An email will be sent the first on the month with a minimum of 1 dz. flavor options to choose from. Non response with be considered confirmation of the Cookie of the Month flavor choice. 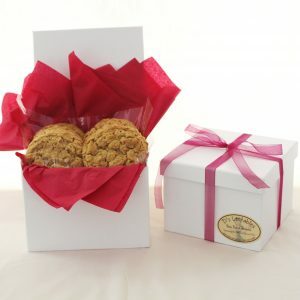 Cookies will be shipped consecutively on the second week of the month starting the month of your choice. Please contact darlene@dslectables.com for more information. 3 Months – 1 dz., 3 Months – 2 dz., 6 Months – 1 dz., 6 Months – 2 dz., 12 Months – 1 dz., 12 Months – 2 dz.